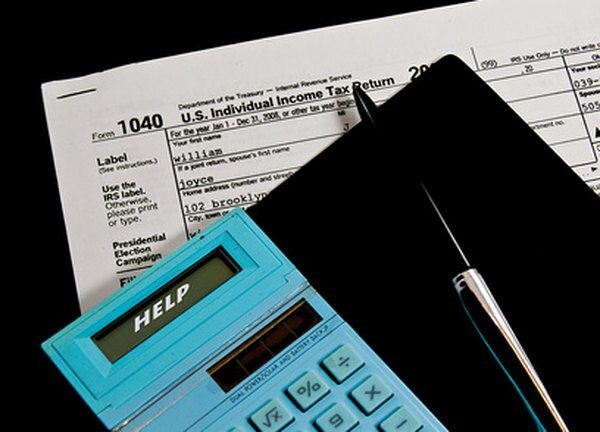 A worthless security could prove helpful when it comes time to file your taxes. 2. How Much Can You Earn While Drawing Social Security Benefits? Typically, if you want to take a tax loss on a security, such as a stock, you can simply sell it on the open market and record the details of your transaction. If you own a worthless security, however, things get a little more complicated. With no active market, you can't record a sales transaction for the Internal Revenue Service. However, you can report your security as worthless to the IRS if you have documentation to back up your claims. Financial services firms can sometimes take worthless shares off your hands for a small price. Verify there is no existing market for your security. Just because a company has declared bankruptcy or trades infrequently doesn't mean it no longer has value. Check financial news sites to get information on the price of your stock or bond. You can also ask your financial adviser to enter a trade. If there really is no market for your security, the floor broker will advise you. Ask your financial services firm to buy the stock from you. As a courtesy, some brokerage firms buy worthless stocks or other securities from customers. You'll usually receive nothing in exchange for the sale, and you may even owe commission on the trade. However, the documentation of the trade will prove important when you file your taxes. You must file IRS Form 8949 to report worthless securities or any other securities trade relevant to your taxes. Enter all relevant trade information on Form 8949. You'll need the name of the security, the dates you bought and sold it, and the amount you paid and received. Divide your trades into short-term -- that is, those held for one year or less -- and long-term. If your financial services firm bought the security from you, enter the trade date. If you are simply reporting your security to be worthless, use the last day of the year as the sale date. In both cases, you can write "worthless" or write in zero as the sales price. Follow the instructions on Schedule D to transfer final amounts to Schedule 1 of Form 1040. If your losses exceed your gains for the year, you can deduct up to $3,000 from your ordinary income. Per Form 8949 instructions, transfer the lesser of your total loss or $3,000 to line 13 of Schedule 1. Ultimately, you'll transfer your gains and losses to line 6 of Form 1040. If your loss is greater than $3,000, you can use that loss to offset gains or income in future tax years. Even if you can't find a firm to buy your worthless security from you, you can still report it to the IRS as long as you keep proper documentation. In the event of an audit, you'll have to demonstrate to the IRS that there was no hope for you to receive anything from a sale of your security. You'll also need to provide a reasonable estimation as to when the security became worthless. Rules around worthless securities aren't changing in the 2018 tax year, but brackets used to figure our short or long term capital gains and other taxes are changing. Many taxpayers will owe less tax on the same amount of income in 2018 than in 2017. Make sure you use the current tax brackets to determine your capital gains and ordinary income taxes. Another change for 2018 is the introduction of supplemental Schedules and a shorter Form 1040. Schedule D gains and losses now transfer to Schedule 1 before reaching Form 1040. Tax rates are generally higher in 2017, which may make it more advantageous to make sure and claim any allowable loss for worthless securities or any other stock loss deduction you're eligible for. Does My Spouse Receive Part of My Social Security Benefits? Are There IRS Deductions for Losses From Metals?